Thank you for visiting and shopping at Weber.com. We cordially welcome you to the Weber Barbecue World. We know you are eagerly waiting to receive your Weber product and are excited to experience it with your family and friends. That is why we treat every order with special attention and strive to process your order as quickly as possible. We currently deliver to limited destinations in India which includes all metros and T1 cities. Subject to the shipping rules and restrictions below, delivery is currently free for all purchases for orders above Rs.5,000 from weber.com.. For orders under this value, a shipping charge of Rs. 500 (inclusive of all taxes) is chargeable for each order. 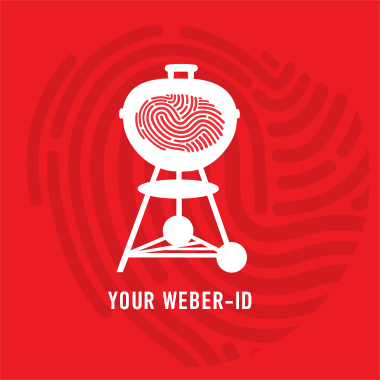 If you wish to purchase a Weber product or item and your delivery address is not within the Shipping Coverage, please visit the Weber Authorized Dealer near you for further details. Your order will be sent either via appointed 3rd party Logistic Partner (e.g. DHL, SF Express, TNT, FedEx, Arrow & etc.) or Weber assigned Fulfilment Partner. Deliveries usually take place from Mondays to Saturdays during usual business hours. Once your order has been shipped you will receive an email with the delivery details so that you can track the delivery status of your shipment. Depending on your market or geographical location and speed of freight services, your order may arrive within 2 – 9 business days. In a festive season like Diwali, If we are experiencing a high volume of orders, shipments may be delayed by a few days. Please allow additional days in transit for delivery. Weber-Stephen Barbecue Products India Private Limited reserves the right to change, amend or edit the Standard Shipping Policy without any prior notice. If you have questions about our Shipping Policy or need assistance in placing your order, please email SupportAsia@WeberStephen.com or contact Weber Customer Service at +000 800 100 8182 (India Toll-Free-Number). The following general returns policy is applicable to all items sold on Weber.com. Products such as Charcoal Briquettes and Lighter Blocks are "non-returnable" product and these cannot be returned. All items must be returned in their original condition, with price tags intact, user manual, warranty cards, original accessories and in the original manufacturer’s box/packaging as delivered to you. We may reject the return pickup if the items are not returned according to the policy. If your purchase is eligible for return, please contact us at SupportAsia@WeberStephen.com with details of the product and the defect with inclusion of Grill Serial Number, Purchase Invoice, and photo/image/video reference or attachment. Do provide us with your contact details and active phone number. Our Customer Service team will get in touch with you. We seek for your co-operation to provide the necessary details and clarifications as needed and enquired by Weber Customer Service Team and/or the relevant representing parties. If you are entitled to a replacement, we are more than happy to proceed with the next course of action and provide you with a replacement item (i.e. part), where applicable. Weber-Stephen Barbecue Products India Private Limited reserves the right to change, amend or edit the term or policy mentioned above without prior notice. Should you have further questions, feel free to contact Weber Customer Service. They will be happy to assist you.